A charming pen featuring the delightful Poppi Loves! 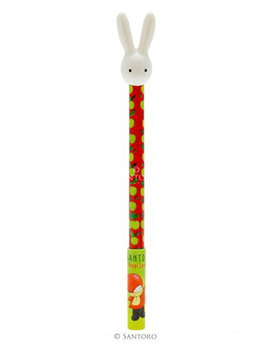 The pen has a repeat apple print set amongst a ruby red colour palette, and is embellished with Poppi and her rabbit friend on the lid. ​ There is also an adorable 3D bunny to decorate the top of each pen; a delightful writing accessory for any stationery collection!